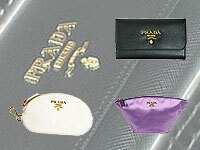 The products that Prada offers to its customers are exquisite as they rule the fashion industry. No other brand has been around for so long and without change. See for yourself, as Prada has a variety of products ranging from shoes to handbags, belts, wallets, sunglasses, and clothing. 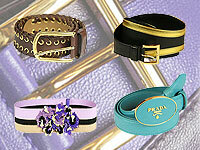 Prada is an example of how design can be highly innovative, yet solid over generations. And testimonials prove it. You never wear a pair of Prada shoes by chance. Many call them dream shoes, those you can wear for every occasion. 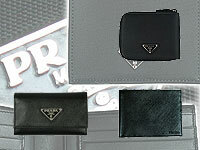 In a wide range of fabrics and leathers, Prada wallets are just what you need to keep everything in its place. 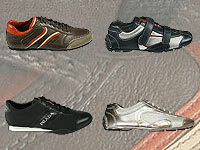 Stylish, versatile, and made of the finest quality finished leather that makes them extremely durable. Always with Prada logo. 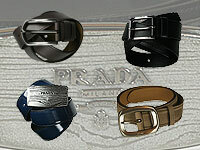 all Prada belts are of the finest quality leather. Classic elegance, with a top refined design that makes them precious and unique with an unmistakable style. So you think you can wear a Prada shirt without being noticed? 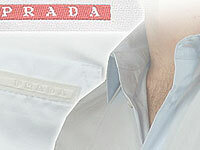 Anywhere, anytime, whether at a meeting or a special occasion, you will see what it means to wear a Prada shirt. You can feel the freshness on your skin of the highest quality silk and cotton, money can buy. 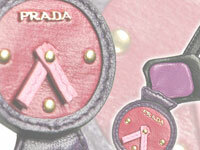 Prada is an italian fashion house established in Milan, Italy in 1913. With her distinctive style in shoes, handbags as well as wallets and belts Miuccia Prada is appreciated for the quality and design of clothing, shoes and accessories. 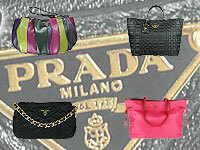 Prada increased its popularity during America's Cup races in 2001 and consolidated its leadership position in the fashion market. 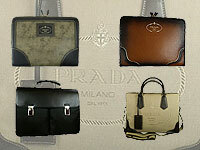 Our Prada Department offers more than 250 styles of shoes, 50 styles of handbags, 40 types of wallets as well as clothing, gloves, caps and plenty of gift ideas.